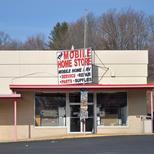 Shopping Center is located on a high visibility corner on busy US 220 (Virginia Avenue) in Collinsville, Virginia. Average Annual Daily Traffic of 23,000 vehicles. 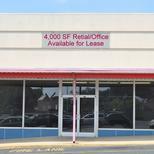 Tenants include Auto Zone, Dollar General Market, Sears, Rent-A-Center, Domino's Pizza, nTelos, Suit City, Lendmark Financial and Mobile Home Supply Store. Adjacent to 148 room Quality Inn - Dutch Inn Hotel & Restaurant. High Visibility corner on busy US 220 (Virginia Avenue) in Collinsville, Virginia. High Visibility corner on busy US 220 (Virginia Avenue) in Collinsville, Virginia. Signalized intersection. Interior was completely renovated in 2008. Approximately 11,600 sf of showroom space and 3,400 sf of backroom/storage. High Visibility corner on busy US 220 (Virginia Avenue) in Collinsville, Virginia. This space is in great shape and was most recently a Sears Hometown store.